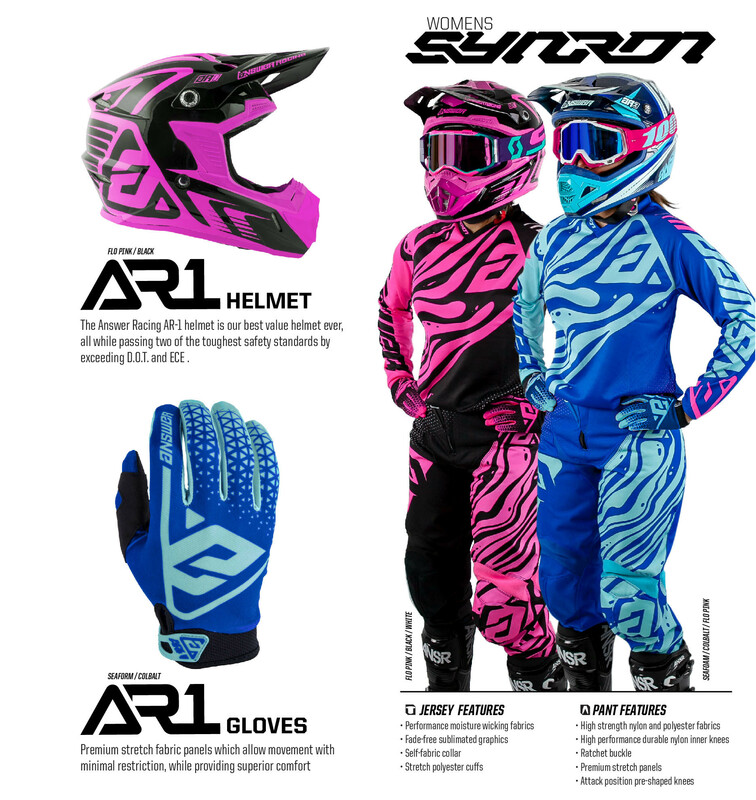 Irvine, CA-Answer Racing is pleased to announce the arrival of the 2019 Spring collection. This season offers two new colorways of our popular Syncron Flow design along with two new colors for the women. 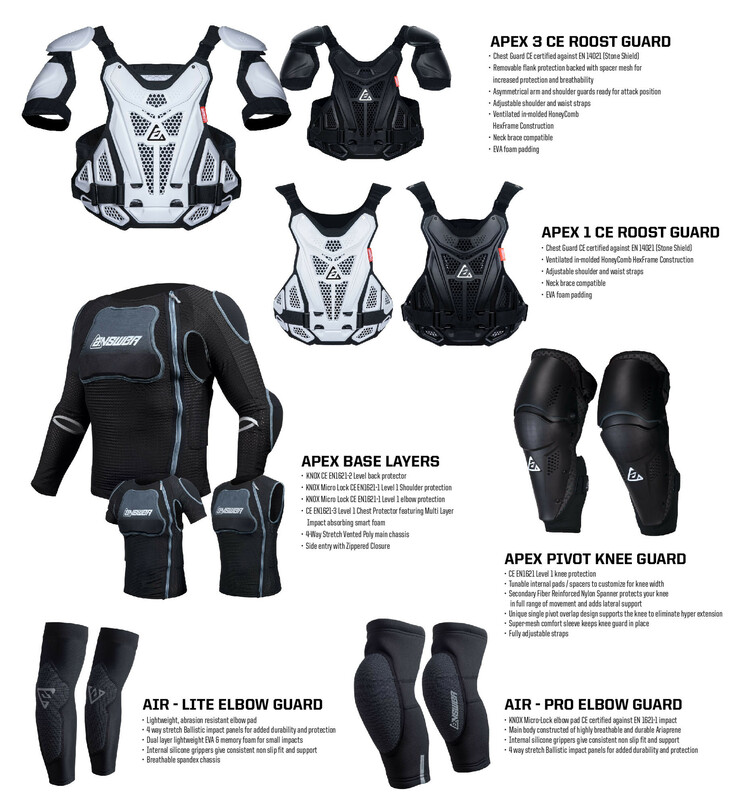 In addition to the apparel, we are introducing an all new Apex protection line. 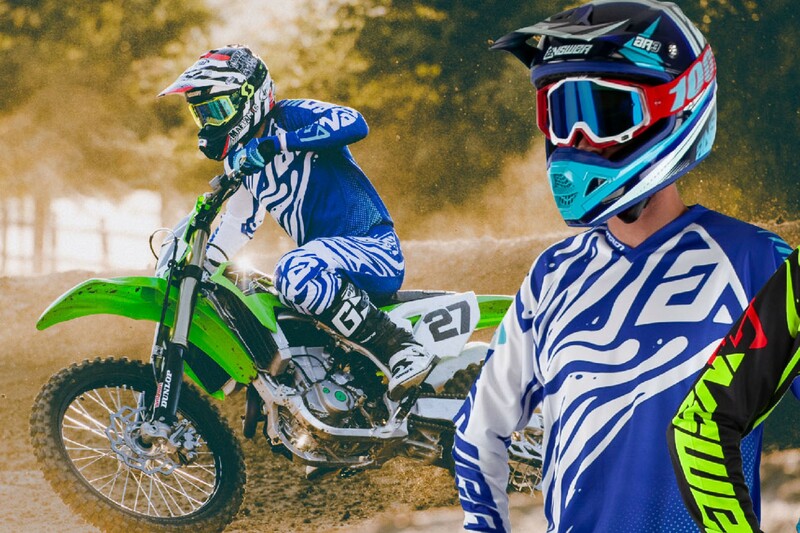 This includes two versions of roost protectors, CE certified base layers, knee and elbow guards. Developed and tested by our top athletes, these products pass the test for both performance and protection. 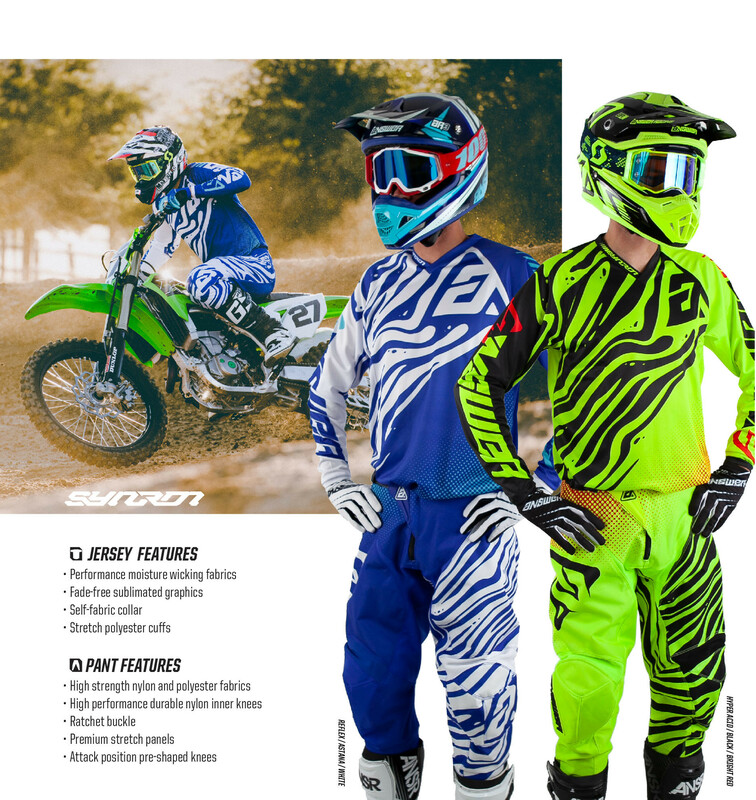 To view the entire Answer Racing Spring line visit www.answerracing.com.